This Bible verse has brought comfort to a countless number of people throughout the years. It is very reassuring to know that no matter what happens in our life, our God and Father is able to cause all things to work together for our good. Of course this does not mean that everything that happens in our life is good, because we know that is simply not the case. We live in a fallen world where bad things happen to good people. 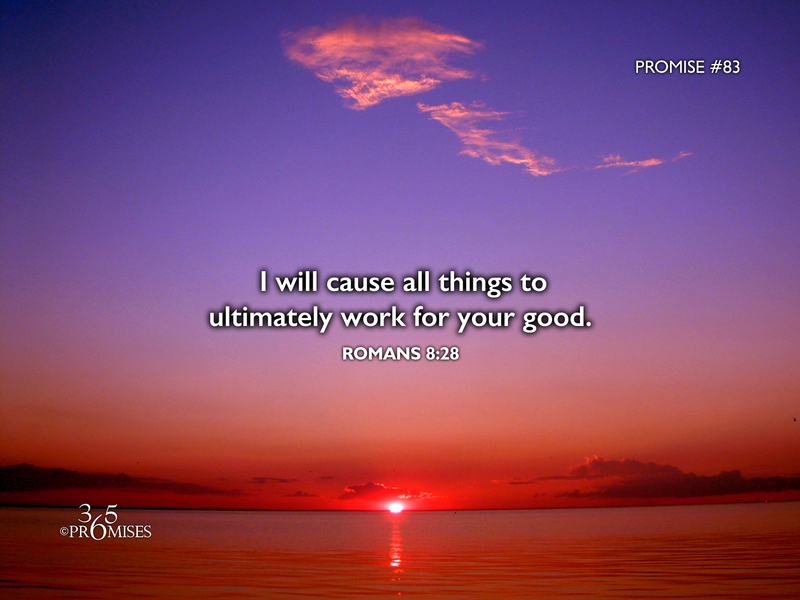 Nevertheless, our God is able to redeem even the most difficult of situations and somehow, some way, He promises to ultimately work all things for our good. We might not see the 'good' that He has in store for us immediately, but be assured that from God's eternal perspective, His heart is for your best interest in the long run. May this promise of our Papa's plan for a bright future encourage you in the midst of any hardships that you are facing today.